I look forward to returning to Houston, but I will certainly miss this magical place (so will Gabby). I now have a plush companion for story time. Otty has taken on new life in this form and I can’t wait to introduce him to his many fans! 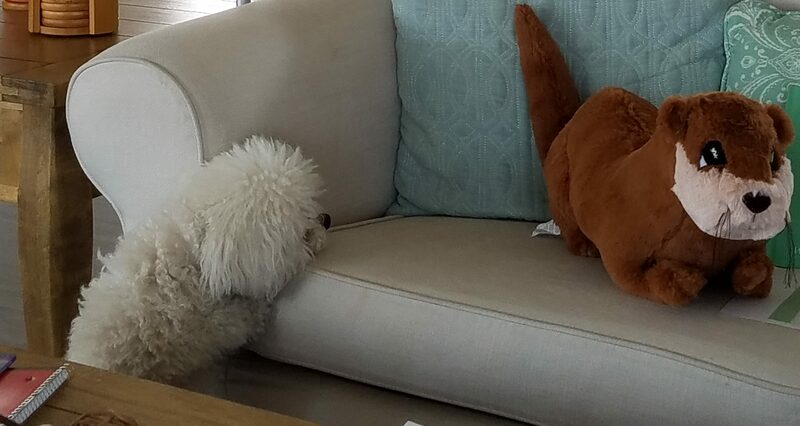 One of his biggest fans, Gabby, likes barking at Otty and sniffing his fur! 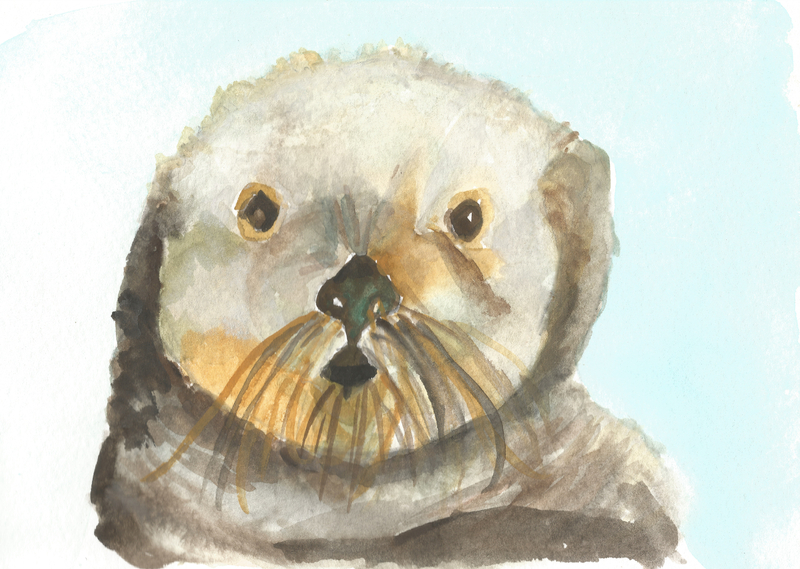 Elkhorn Slough (pronounced slew) has inspired me yet again and my creative juices are flowing at full speed. Good news is that Book 2 is well on its way! Are you ready for Otty’s return? 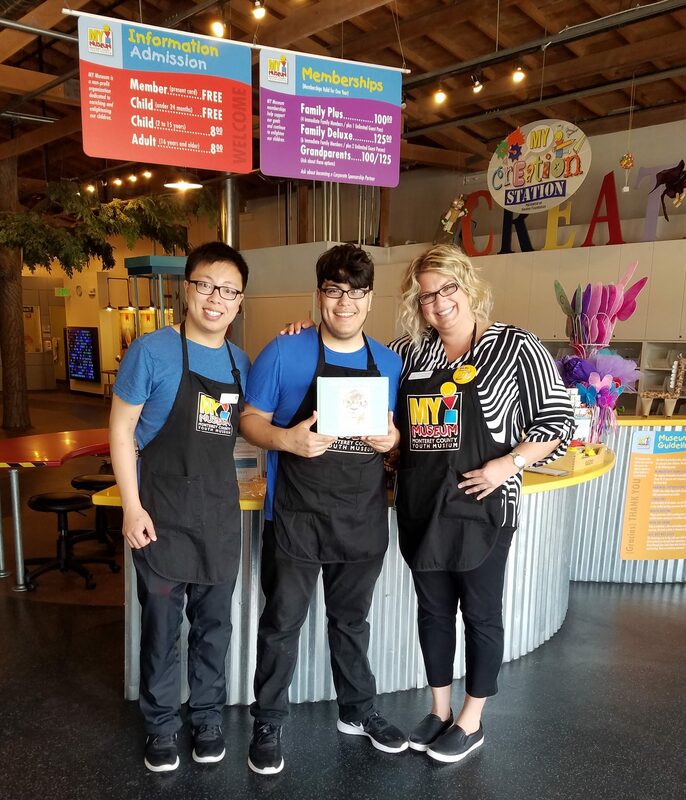 I just had a wonderful experience at My Museum in Monterey, CA. The staff were mighty excited about The Otter by the Sea and look forward to reading the book to future museum visitors. I can’t wait to return with my grandchildren and check out the many whimsical exhibits. 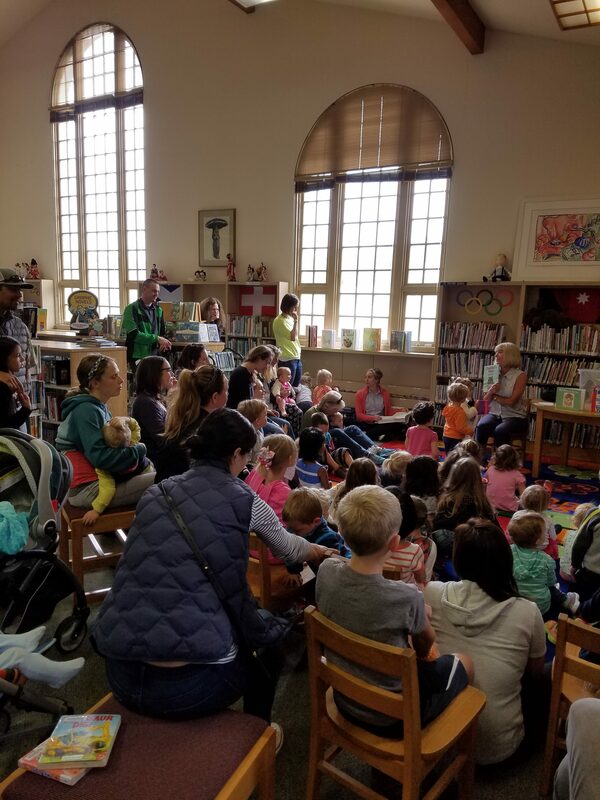 Had quite the crowd attend my reading at the Pacific Grove Library. Was a joy to behold so many bright young faces enjoying Otty’s tale! Browsing and woof woofing at BookWorks! 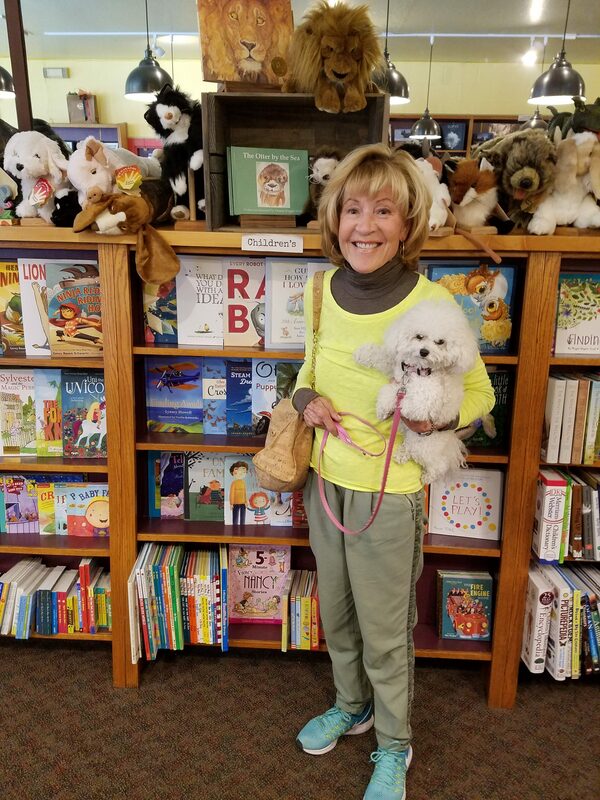 Here I am with faithful sidekick Gabby at BookWorks in Pacific Grove, CA admiring the otter book display. 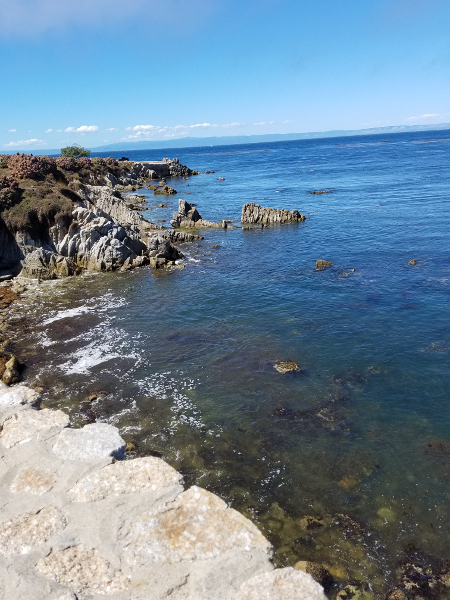 Home of the otters and my book inspiration – Pacific Grove, California. 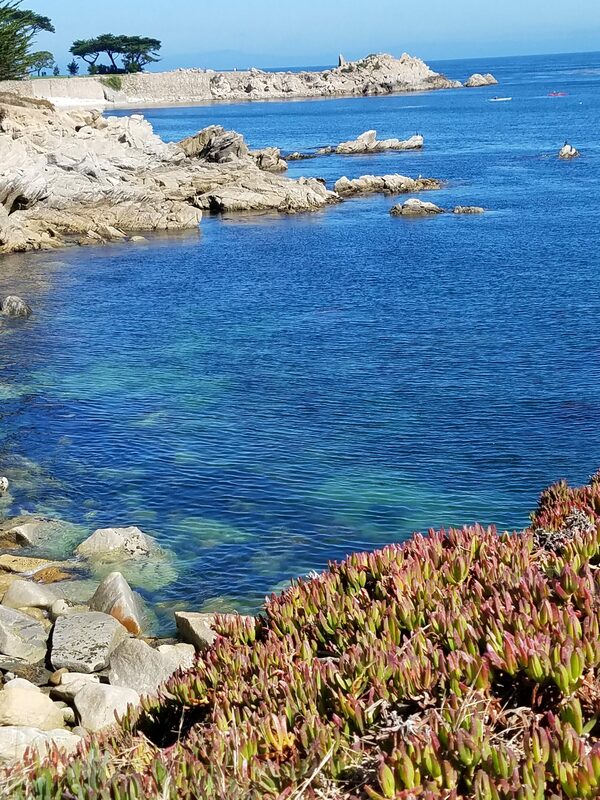 Wish all of my readers could visit this wonderful, beautiful place! 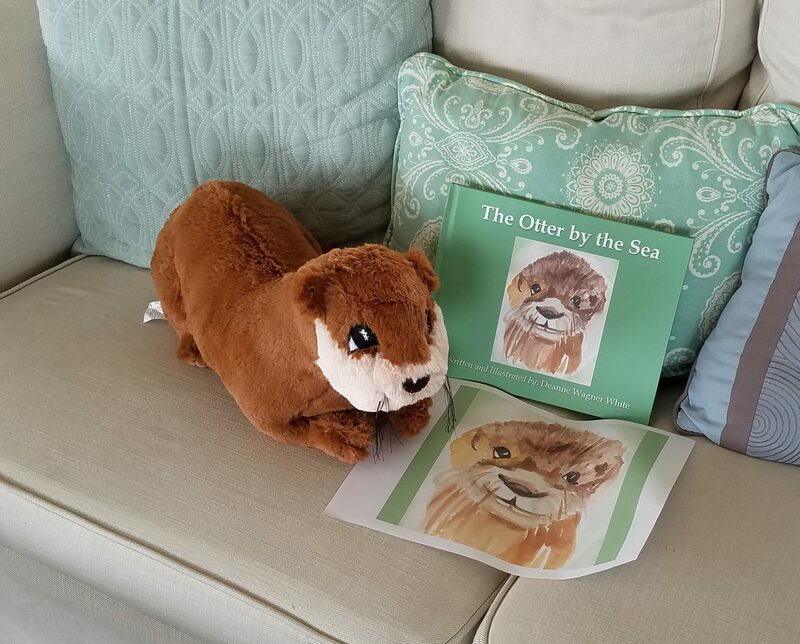 Thanks to a few creative pre-schoolers from Houston, Texas, the main character in book one, The Otter by the Sea, has been named. His new name is Otty the Otter.